Desc: Landstrom's Black Hills Gold pearl and grape and leaf post earrings. 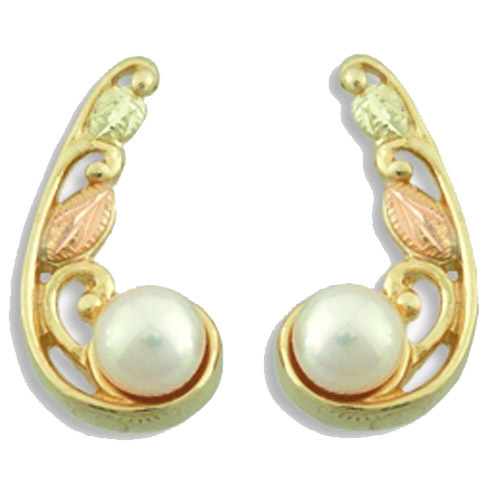 The grape and leaf pattern raises above the pearl along the ear like a feather. Made in the United States of America.